Missionaries of Charity v. City of Los Angeles. The Becket Fund for Religious Liberty (n.d.). Retrieved from https://www.becketlaw.org/case/missionaries-charity-v-city-los-angeles/. Missionaries of Charity v. City of Los Angeles. (Apr. 04, 2019). https://www.becketlaw.org/case/missionaries-charity-v-city-los-angeles/. "Missionaries of Charity v. City of Los Angeles." The Becket Fund for Religious Liberty. Accessed [Apr. 04, 2019]. https://www.becketlaw.org/case/missionaries-charity-v-city-los-angeles/. 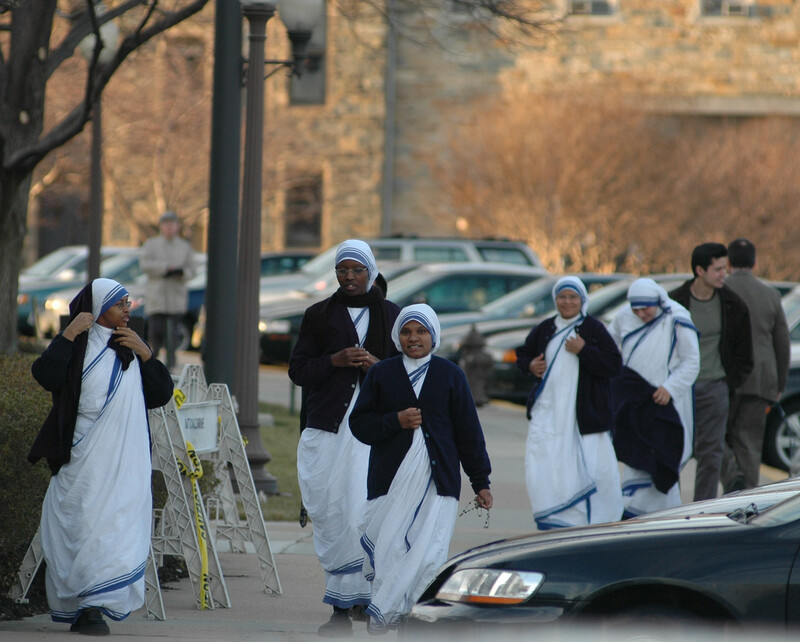 Missionaries of Charity is an organization founded by the late Blessed Mother Teresa of Calcutta, which now does sacrificial service in many countries, including the United States. In addition to founding an organization for nuns, Mother Teresa founded a corresponding male group Brothers of the Missionaries of Charity. In 1992, in the wake of riots in the area in April of that year, Missionaries of Charity Brothers bought and renovated a large house in a depressed neighborhood a little less than a mile west of the Los Angeles Convention Center. The Brothers used the home to minister to homeless young adults (mostly Hispanic) three days a week. Between 60 and 85 young adults visited the home, known as “Nuestro Hogar” (“Our Home”), on any given day. In this safe, secure, non-institutional homelike residential setting, visitors find refuge from their lives on the streets, a hot meal (supplied by volunteers from area Catholic churches), and the opportunity to shower and clean their clothes. Priests are present from time to time to hear confessions and say Mass, and the Blessed Sacrament can be received in the home’s small chapel. For nine years, the Missionaries of Charity Brothers pursued this mission to the homeless without incident or any objection from city officials. But in 2001, at the instigation of neighbors who had moved into homes nearby after the Brothers had established Nuestro Hogar, city officials decided that the Missionaries of Charity would have to apply for a conditional use permit and zone variance for their ministry there. The Brothers filed the application, but it was denied by the city’s assistant zoning administrator in May 2001, and an appeal to the Central Area Planning Commission was denied in August. The Missionaries of Charity Brothers sued and the Becket Fund served as lead counsel. The Brothers were able to obtain a stay pending resolution of a similar case. In 2006 the Ninth Circuit ruled that the Religious Land Use and Institutionalized Persons Act (RLUIPA) was constitutional. After that, the City never brought the case back to court. In 2011, the Brothers moved out of the home and the case became irrelevant. The Brothers were able to stay in their home and help the homeless as long as they had needed the land.